ASUS has introduced a number of new products this summer, but never released their official recommended prices and availability timeframes for the US market. In the recent weeks, the company quietly began to sell some of the new products and this week ASUS published actual configurations, MSRPs and ETAs for its Zenbook 3, ZenFone 3, ZenWatch 3 and ZenPad 3S 10 devices. ASUS formally introduced its ZenFone 3 family of smartphones at the company’s annual press conference ahead of Computex in late May. The new ZenFones are the first handsets from ASUS based on ARM processors and also the first phones from the company to use Super AMOLED display panels (high-end models only). The initial ZenFone 3 lineup included three models (Laser and Deluxe), but eventually ASUS expanded it with the Qualcomm Snapdragon 821-based ZenFone 3 Deluxe 5.7” Special Edition as well as the value ZenFone 3 Laser. Three ZenFone 3 models are already available in the U.S. for $199 (ZF3 Laser ZC551KL), $399 (ZF3 Deluxe 5.5” ZS550KL) and $499 (ZF Deluxe 5.7” ZA570KL), whereas the ZF3 Deluxe 5.7” Special Edition is set to be available in late October exclusively from the ASUS Store for $799. In the meantime, the destiny of the media-consumption focused ZenFone 3 Ultra (ZU680KL) in the U.S. is unknown. The device is available in some countries (e.g., the Philippines), but not in Europe or North America. Special Edition ZenFone 3 Deluxe 5.7"
ZS570KL ZenFone 3 Deluxe 5.5"
It is noteworthy that at present ASUS only offers silver versions of its ZenFone 3 smartphones. It looks like the rest colors will hit the market at a later date. The Zenbook 3 from ASUS seemed like a worthy competitor for Apple’s MacBook back in June thanks to its Core i5 and Core i7 SoCs as well as low weight of 910g. Since the announcement at Computex, ASUS has upgraded the notebooks with Intel’s Kaby Lake processors, making the systems slightly faster and more responsive. 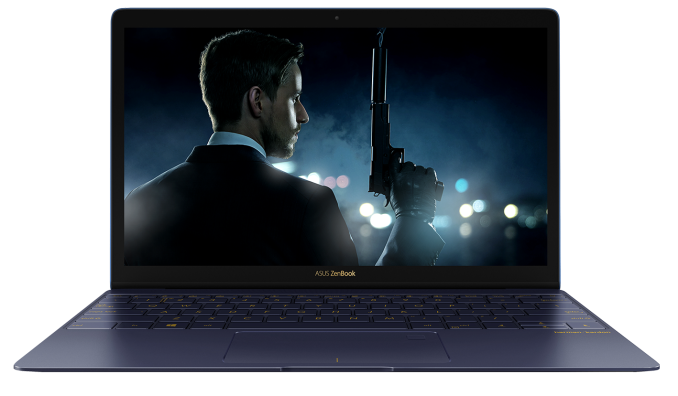 At present, ASUS sells two Zenbook 3 models in the US: the premium Core i7-7500U-based UX390UA-XH74-BL equipped with 16 GB of RAM, a 512 GB NVMe SSD and a fingerprint reader for $1599 as well as the mainstream Core i5-7200U-powered UX390UA-DH51-GR with 8 GB of RAM and a 256 GB SATA SSD for $1099. The top-of-the-range model with 1 TB SSD and rose gold finish for $1999 is yet to come. We mentioned earlier this year that the price difference of $500 between the Core i7-based ZB3 models is a significant jump for 500 GB of additional PCIe SSD capacity. It is rather hard to make a breakthrough affordable tablet these days, but the new ASUS ZenPad 3S 10 looks rather impressive. For $299, the slate offers a retina-class 9.7” display with 2048×1536 resolution, a six-core MediaTek MT8176 SoC (two Cortex A72, four Cortex-A53 cores, PowerVR GX6250 graphics, etc. ), 4 GB of LPDDR3 RAM, up to 64 GB of storage, 802.11ac WiFi and a fingerprint reader. The ASUS Z500M tablet looks like a rival for Apple’s iPad Air 2, which price starts at $399. The Wi-Fi-only ZenPad 3S 10 slate will be available in early November, but there has been no mention if ASUS intends to release a version with 4G/LTE. 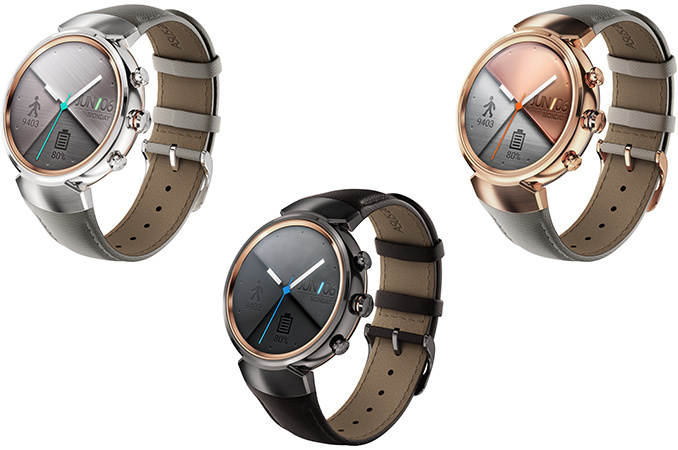 The ASUS ZenWatch 3 (WI503Q) got a lot of attention earlier this year because this is the first smartwatch from the company featuring a round display and because it is one of the first devices to use Qualcomm’s Snapdragon Wear 2100 SoC (APQ8009w). Just like in other countries, the ZenWatch 3 will be available in the U.S. in November for $229. 802.11n Wi-Fi, Bluetooth 4.0, etc. What remains to be seen is whether the manufacturer plans to start selling all three versions of the device at the same time (in silver, gunmetal and rose gold finish), or intends to roll them out one after another like it does with the ZenFone 3. Highly disappointing that there is no date or confirmation of the Zenphone3 Ultra. The international version is not fully compatible with US LTE bands. Yes, you prove my point there are no phones which have a large screen, premium camera (and large battery) that are fully compatible with US LTE bands. Both phones you mention are not. After Samsung not being able to get the Note 7 fixed even after a massive recall am looking at other brands for a android 5.7" phone with a SD card.